In this segment , Desizn Circle will take you through various design colleges in India and show you their infrastructure , meet with the students and faculties . It will help you to decide your career better after school and college in design . we will be taking you to the various college across the country like NIFT , NID , PERAL ACADEMY , IIAD , ISDI PARSONS , WUD, Raffels , Marangoni , Gurukul School Of Design, ITM University , Vivekanand University , The Design Village , FDDI and many others ! ISDI is committed to a new model of cutting edge design and innovation education. The ISDI method of pedagogy is based on intensive specialisations built on strong fundamentals of critical thinking, skill training, creative technologies and master classes. Creativity, Innovation and Sustainability are core to ISDI’s philosophy. ISDI’s location in the heart of Mumbai in the Lower Parel Innovation District (LPID), will enable our students to study and learn in close proximity to the advertising, fashion, film, media and retail industry. Our forward thinking design school reflects the Indian Idiom of Design. Faculty and students use Design Thinking as a way of life. The campus is the cornerstone of Research and Innovation for Corporate India. ISDI graduates are socially responsible creators of a sustainable future. Unitedworld Institute of Design (UID) is a modern, innovative institution that has been built on teaching, learning and research excellence. It offers a diverse range of undergraduate and postgraduate programs in the area of art & design. These programs are designed with strong professional emphasis and in close partnership with industry. Every course has been structured to deliver insights into the importance of individual and collective creativity, be it theoretical assessment, design practice, curatorial evaluations or artistic considerations. The five Undergraduate courses include Fashion Design, Product Design, Interior Design, Visual Communication (Graphics) and Lifestyle & Accessory Design. All programmes offered are inclusive of 1 year foundation studies, to sharpen basic creative skills to proceed for advance studies in specialized programmes. The programme includes basic sketching and drawing to enhance hands- on skills, observation power, handling different mediums from pencil to various colour techniques followed by analytical drawing to understand the critical analysis of forms and shapes. Minimum 10+2, higher secondary education with minimum 50 % aggregate score from any recognized higher secondary school board. Post Graduation in Design is an integrated programme that melds studio-based practice with rigorous critical analysis. The PG Courses include Apparel & Textile Design, Furniture & Interior Design, Product Design (Industrial) and Visual Communication(Graphics). Students develop their skills and knowledge by promoting collaborative learning experiences between practitioners from different areas of design, over and above their previous acquired creative and technical skills. Minimum 10+2+3/4, bachelor’s education with minimum 50% aggregate score from any recognized Institution or University in the relative area of studies as mentioned in each specialized subject. CAMPUS: Karnavati Knowledge Village, 907/A Uvarsad, Dist. Gandhinagar, Gujarat. WSD proposes to soon become World University of Design (WUD) – India’s first and only university dedicated to education in the creative domain. The proposal is under process of approval of the Private University Act of Government of Haryana. All degrees of WUD will be UGC approved. The endeavour at IIAD is to produce professionals with a unique aesthetic sensibility and a thorough grounding in modern technologies to suit the dynamism and competitive standards of the global design industry. We believe in quality inter-disciplinary programs that will nurture talent and intellectual curiosity, foster critical thinking and a core skill set, and of course, offer professional exposure to an exciting industry through a dynamic learning curve. We plan to create a new generation of quality professionals – each with the ability to express a unique creative voice as well as match the demands of an ever-evolving commercial work scope. 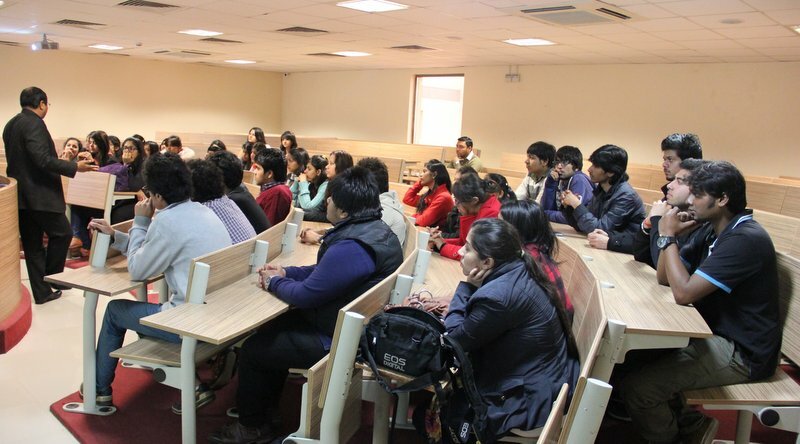 Desizn Circle students visited Pearl Academy Of Fashion , Noida and attended the “Portfolio Development and Situation test Workshop” ON 16 Nov , 2013 . Thanks to the faculties and the management of Pearl Academy , Noida who have organized this event and benefited the students of Desizn Circle . It was a great experience for the students also to visit the Campus and get a first hand experience of professional world and meet the professionals and clear all their doubts regarding the entrance exam and the courses they can pursue in future in the field of Art , design and management . For more details visit www.nift.ac.in . GD Goenka School of Fashion & Design (SOFD) has been established in academic collaboration with the famous Politecnico Di Milano School of Italy, the school brings the edgy Italian design education to Indian students. The School of Fashion & Design is promoted by the GD Goenka Group. The objective of the School is to offer high quality education in selected areas of Fashion and Design businesses at the undergraduate and postgraduate levels with a view to build a generation of creative professional designers.